South Tyrol offers variety and excitement, also for culture lovers: museums, theatres and cultural highlights all year long… an interesting journey through the customs and culture of our beautiful region. 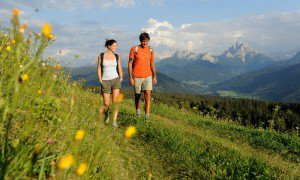 Accompany us on the journey of culture and traditions of South Tyrol! The South Tyrolean mountaineer Reinhold Messner is one of the most successful mountaineers worldwide. For the past few years, Reinhold Messner has been working on a huge project, the “Messner Mountain Museum – MMM“. You can find the Messner Mountain Museums at five locations. 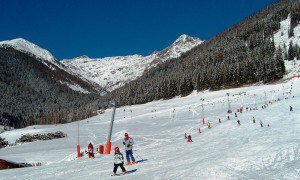 Enjoy a discovery tour of the alpine mountain world and its inhabitants. On a hill in the town of Brunico at Brunico Castle you can find the fifth and newest of five museums dedicated to the topic of mountains. This museum is dedicated to the mountain populations. 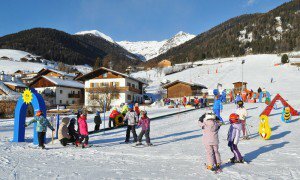 Surrounded by mountain farms with a view of the very successful Plan de Corones ski resort, the rural Aurina Valley and the Zillertal Alps provide an ideal setting for the MMM Ripa (Tibetan: ri=mountain; pa=person). A journey into human past leads to Bolzano to the most famous mummy in the world. The world-renowned “Ötzi” mummy is about 5000 years old. The Ice Man found his last resting place in the Museum of Archaeology in Bolzano. Video films, pictures and multimedia shows provide an insight into Neolithic times and thanks to “Ötzi” the climatic development and the development of illness could be studied. You can even look at the real “Ötzi” through a window, if the mummy has not been brought away for scientific research. Trauttmansdorff Castle is one of the most visited sights in the elegant spa town of Merano. The imposing castle is located amidst one of the most beautiful botanic gardens in Italy. The 12 ha large area was first opened in 2011. Visitors from all over the world can enjoy 80 fascinating theme gardens, water games, ponds and grottos. The castle got popular due to Empress “Sissi” from Austria, who visited the Earl of Trauttmansdorff several times between 1870 and 1889. With her daughters and entourage she occupied several rooms in the castle. Now, the castle hosts the museum of tourism “Touriseum“. The museum is dedicated to the history of South Tyrolean tourism with several interesting documentations. The sunny terrace at the castle is ideal for enjoying the sun and the panoramic view. Enjoy a wonderful view of Merano, the Adige Valley and the surrounding mountain world. The Predoi Mine is a former copper mine and part of the regional museums of South Tyrol. The mine opened in the 15th century and was closed down in the 1990’s. This is the highest mine in Europe. Now, visitors can enter the gallery with the original mine railway, which leads into the 1000 m deep St. Ignaz gallery. Once inside the mine you can enjoy a guided round tour and get an insight into the mining tradition in the Aurina Valley. In the museum, the former food storage, you can admire a comprehensive exhibition of mining exhibits and historic documentation. About 100 m from the show gallery you’ll find the so-called “health gallery“, where speleotherapy is offered. Under the motto “I breathe”, people suffering from illnesses of the respiratory tract, lung sicknesses and hay fever can enter this special micro-climate in order to sooth their complaints and for relaxation. 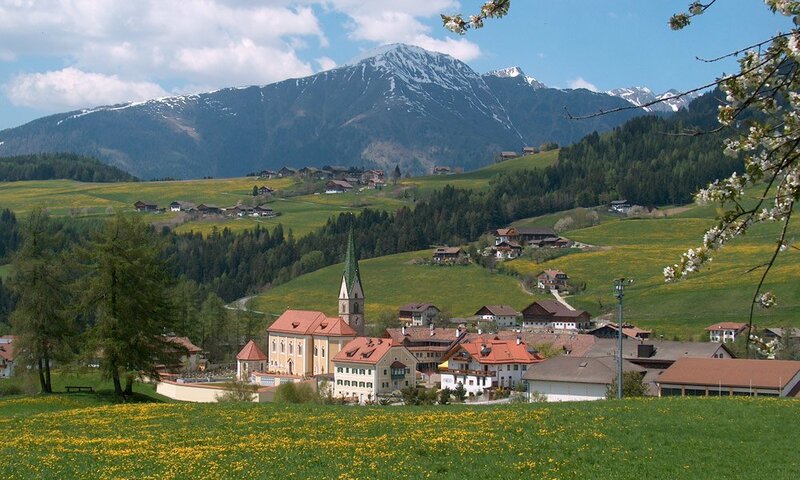 Bergila in Issengo (Falzes): Since 1912, ethereal oils are distilled in a traditional way. Meanwhile, the 3rd generation of the family carries on this tradition. About 70 different herbs are grown according to strict organic regulations in the herbal garden. These herbs are harvested at the right time, dried, and packed as tea, or realised as oils, tinctures and other herbal products. Bressanone and Novacella Abbey: You should visit the abbey with Collegiate Church, the Stations of the Cross and library in Novacella near Bressanone. In the town of Bressanone you can find the Hofburg Castle, the Diocesan and Crib Museum, the Dome, the Pharmacy Museum, and wonderful shops. According to the ADAC leisure time atlas the Museum of Ethnography in Teodone is one of the most beautiful outdoor museums in Europe. The open-air area shows old farm houses and handcraft rooms which provide an insight into the various types of houses and farms. In the Mair am Hof manor, the centrepiece of the museum, several collections from religious and profane art like pipes, straps and zithers are exhibited. Fortezza Fortress was built in 1833-39. The fortress is named after Emperor Franz I. of Austria, and was the strongest fortress in Europe. However, battles never took place at the fortress. The fortress was soon antiquated from a technical point of view and still characterises the surrounding landscape. The fortress is accessible with a guide. Castles… Tures Castle, Casteldarne Castle, Rodengo Castle, and Wolfsthurn Castle can also be visited! 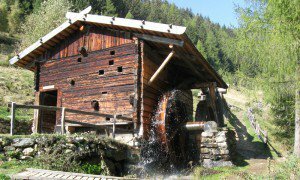 Discover the highest mines in Europe… in South Tyrol! The highest mines in Europe lead to an underworld, to the darkness of the galleries, where the life of miners and their families depended on the pit lamp. The Predoi Mine with Health Gallery or the BergauWeltRidnaun mine in Ridanna and the adventure mine in Villandro. Waterfalls can be admired in the Gilfenklamm gorge near Vipiteno and in Riva di Tures! Gilfenklamm is the only gorge worldwide, which is deeply cut into purely white marble. Tisa balls, mountain crystals, and a variety of minerals are exhibited in the Minerals Museum in Tisa . During the summer months children can look for minerals with Paul Fischnaller! The Puster Valley offers the most beautiful and romantic alpine lakes: Anterselva Lake – Braies Lake – Dobbiaco Lake. 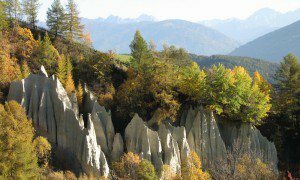 Dolomites & Dolomythos: Dolomites… A UNESCO World Nature Heritage site. A must see during your South Tyrol holidays are the Three Peaks, South Tyrol’s landmark. 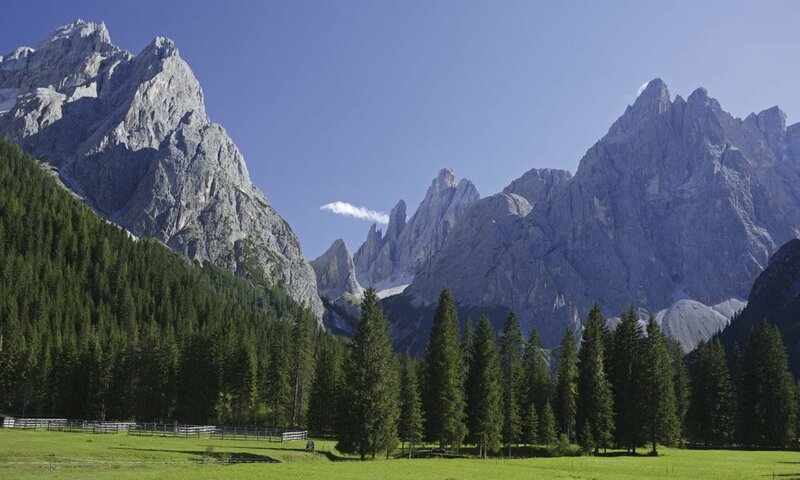 All information on the Dolomites and the rock formation can be found in Dolomythos in San Candido. As a day-tour we recommend visiting Caldaro Lake, a round tour of the Dolomites, Venice, Lake Garda or Verona.